Ken Janssens is a writer/director/producer/editor who has worked for Global Television, 99.1 Cool FM, Naylor, LLC, Bluewater Comics, Pro Se Productions, Red-Handed Studios, Prometheus Comics, Pulp Empire, and Airship 27. For Global Television, Ken wrote and produced promotional ads and wrote, produced, and directed videos while working for the Creative Services department. For Cool FM, he wrote over a hundred radio commercials. As a co-founder of the Winnipeg Screenwriters Group, Ken has written, and edited, several television pilots and movie screenplays. He wrote, produced, and directed a play for the Colin Jackson Studio. Ken's first novel, “The Sisters Arcana”, was released by Pro Se Productions in early 2014. He has also had over a dozen from them in late 2013/early 2014. He also has a 120-page noir graphic novel titled “Caleb Elsewhere” coming out from Pro Se Productions in 2014. Ken also provides formatting services on occasion for Pro Se Productions. Pro Se Productions #1 once more putting the MAGAZINE back into PULP! Pro Se, known for its monthly magazines has returned with a two fisted, action packed, horror inducing first issue, restarting its award winning line of magazines! With stories by Sean Taylor, Don Thomas, and the latest Sherringford Bell tale from Ken Janssens, PRO SE PRESENTS #1 proves that Pulp belongs in Magazines! 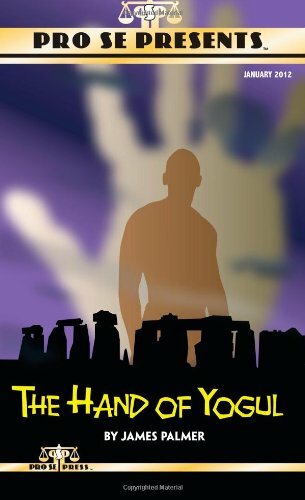 Pro Se Presents #6 Kicks off the Year with 'The Hand of Yogul' From James Palmer and continues on with supernatural mystery from Ken Janssens, masked avenging from PJ Lozito, and the introduction of a brand new character by brand new writer Ashley Mangin! Also, A Comic written by Don Thomas-The Origin of the Rapier! All of this and more this month in Pro Se Presents #6! 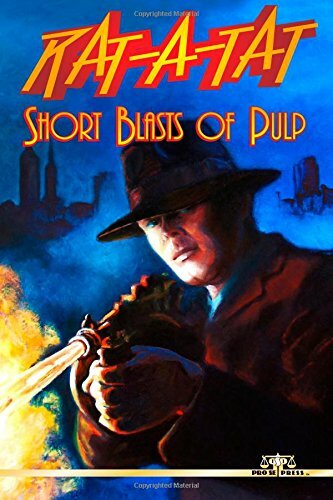 Puttin' the Monthly Back into Pulp! It's always the time for Horror and Monsters...which means...PRO SE PRESENTS FANTASY AND FEAR #2 is AVAILABLE!!! Vampires, wolves, cults, and other fears and phobias come to life in this month's offering from Pro Se! Once again mingling well known authors with new writers to the field, PRO SE PRESENTS FANTASY AND FEAR #2 takes pulp to a terrifying new level! Evildoers beware! Crimefighters rejoice! Mystery buffs, hold on to your seat! MASKED GUN MYSTERY 1, a new magazine debut from Pro Se Productions, brings you pulp goodness with guns, clues, murders, and mayhem! 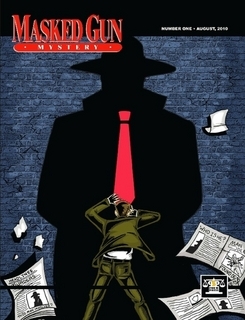 Join writers and artists, both professional and new arrivals, as they track down the bad guys and solve mysteries and crimes of all sorts in MASKED GUN MYSTERY! Like your action over the top? Ready for your adventure non stop and explosive? 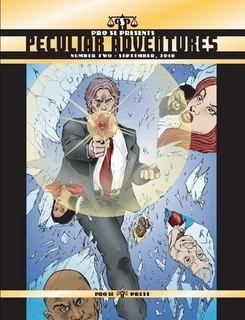 Then pick up Pro Se Productions' debut issue of PECULIAR ADVENTURES! Harkening back to the style of the old hero pulps with a modern twist, writers and artists, new and professional alike, bring their two fisted, high octane tales to you every month in PECULIAR ADVENTURES!!! The strangest action, the greatest heroes, the best high octane tales anywhere in the pulp world, PRO SE PRESENTS PECULIAR ADVENTURES #2, now in a new format, over 140 pages of pilots, monsters, girls lost between worlds, men lost to themselves, and so much more! Also, the first story of the long awaited SOVEREIGN CITY PROJECT appears in these pages! Guns blazing, fists throwing, good old pulp action brought to you by Pro Se Productions! PRO SE PRESENTS PECULIAR ADVENTURES #2!! Ready for Adventure? Like it Peculiar? Then PRO SE PRESENTS PECULIAR ADVENTURES #3 from Pro Se Press is for you! This issue sports a painted cover by pulp artist David Burton and spotlights SOVEREIGN CITY, Pro Se's very own pulp universe! Join Doc Daye and Lazarus Gray for over the top action and adventure! Also along for the ride are monkeys from the future, pirates from the past, The Cerebus Clan, Wylde World, and so many others. 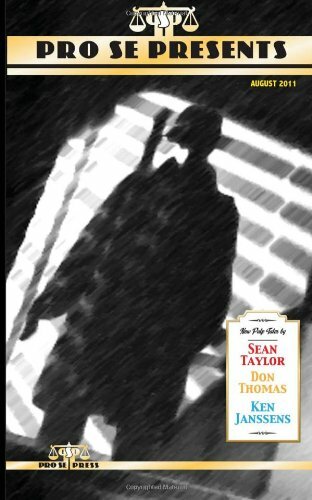 Pro Se's Best Selling Title brings even more this time around, including the first part of a Peculiar Oddfellow Novel!! Get your copy of PRO SE PRESENTS PECULIAR ADVENTURES 3 today! Children from the town of Patterson, Oregon are disappearing. And it does not appear to be ending anytime soon. Until two sisters rise to the challenge of the bizarre mystery. Pro Se Productions presents THE SISTERS ARCANA by Ken Janssens. The latest entry in Pro Se’s YOUNGPULP! imprint is an eerie adventure novel about the ties that bind and bend in a family of passionate people and the mysteries a person can uncover if they just choose to believe. A friendless, science geek and a feisty, sci-fi fanatic, Rowan and Nova are cut from a different bit of cloth. They don’t always get along, but they may be the only ones with enough guts and smarts to save their missing classmates from something straight out of Nova’s imagination. All they need is the right motivation. And to not disappear themselves. Equal parts adventure and mystery, THE SISTERS ARCANA invites readers into a world where nothing is as it seems at first glance and strength is found when and where least expected. 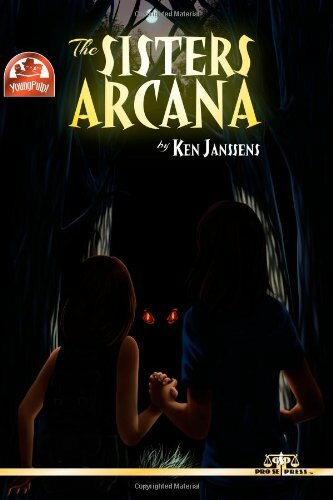 An Adventure for all ages- THE SISTERS ARCANA by Ken Janssens from Pro Se Productions. PRO SE PRESENTS Goes Out with a Bang and SIX New tales in this final Issue! The Award Winning New Pulp Magazine, PRO SE PRESENTS, closes its run out with tales both legendary and mysterious. Writers new to Pro Se fill the spotlight in this issue- THE GOLDEN TICKET by Melissa Robinson, LIFE IN PICTURES by Kat Beeton, THE IDEA BOOK by Patti Boeckman, and SILVER AND GOLD by Ethan Nahte bring four fantastic storytellers to PSP. And Ken Janssens brings his well loved Aloha McCoy, who appeared for the first time in Pro Se's original magazine run, for one more tale in this last issue. 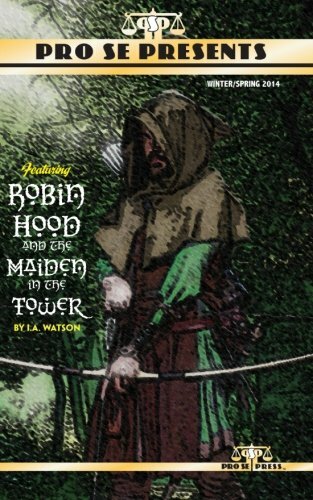 Finally, the legendary Robin Hood appears in a novella by noted Robin Hood author I. A. Watson! PRO SE PRESENTS definitely goes out on the highest of notes in this extra sized final issue! Today’s best Genre Fiction authors pull their fedoras down tight, charge their laser blasters, and barrel full speed ahead into Rat-A-Tat. This two fisted collection features short short fiction designed to illicit the same emotions, the same edge of the seat thrill, the same action and adventure as classic Pulp stories and New Pulp novels. Thrill to Pulp delivered in quick, sharp blasts from a rogues’ gallery of authors! Rat-A-Tat: Short Blasts of Pulp from Pro Se Productions.